1.1. 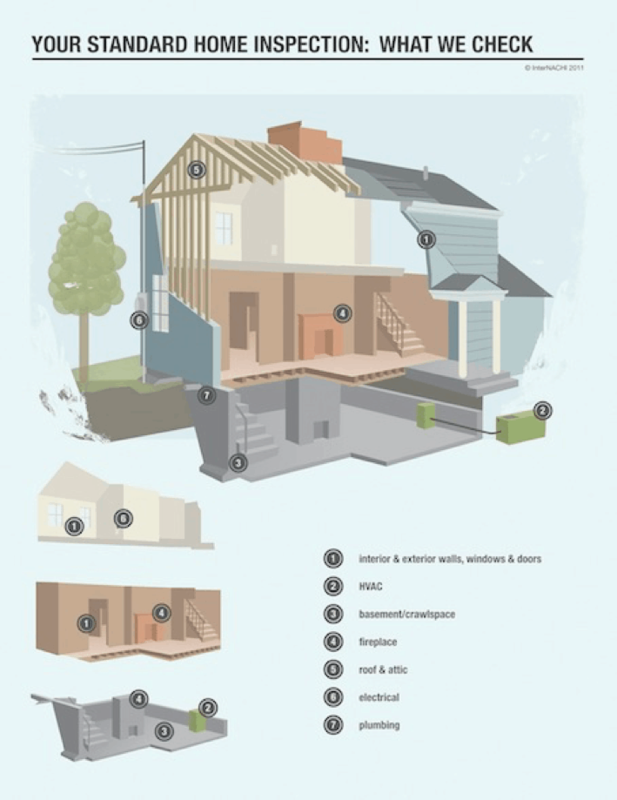 A general home inspection is a non-invasive, visual examination of the accessible areas of a residential property (as delineated below), performed for a fee, which is designed to identify defects within specific systems and components defined by these Standards that are both observed and deemed material by the inspector. The scope of work may be modified by the Client and Inspector prior to the inspection process. 1.2. A material defect is a specific issue with a system or component of a residential property that may have a significant, adverse impact on the value of the property, or that poses an unreasonable risk to people. The fact that a system or component is near, at, or beyond the end of its normal, useful life is not, in itself, a material defect. 1.3. 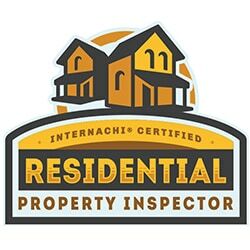 A general home inspection report shall identify, in written format, defects within specific systems and components defined by these Standards that are both observed and deemed material by the inspector. 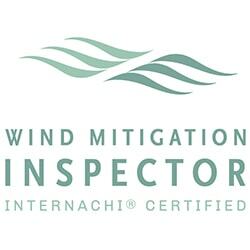 Inspection reports may include additional comments and recommendations. An inspection will not deal with aesthetic concerns, or what could be deemed matters of taste, cosmetic defects, etc. the presence of evidence of rodents, birds, bats, animals, insects, or other pests. any manufacturers’ recalls or conformance with manufacturer installation, or any information included for consumer protection purposes. estimates of the cost to operate any given system. move any personal items or other obstructions, such as, but not limited to:  throw rugs, carpeting, wall coverings, furniture, ceiling tiles, window coverings, equipment, plants, ice, debris, snow, water, dirt, pets, or anything else that might restrict the visual inspection. do anything that may, in the inspector’s opinion, be unsafe or dangerous to him/herself or others, or damage property, such as, but not limited to:  walking on roof surfaces, climbing ladders, entering attic spaces, or negotiating with pets. 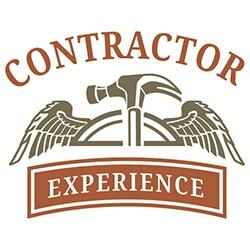 determine the age of construction or installation of any system, structure or component of a building, or differentiate between original construction and subsequent additions, improvements, renovations or replacements. inspect antennae, satellite dishes, lightning arresters, de-icing equipment, or similar attachments. walk on any roof areas that appear, in the inspector’s opinion, to be unsafe. any improper spacing between intermediate balusters, spindles and rails. inspect or identify geological, geotechnical, hydrological or soil conditions. inspect seawalls, breakwalls or docks. inspect erosion-control or earth-stabilization measures. any observed cutting, notching and boring of framing members that may, in the inspector’s opinion, present a structural or safety concern. enter any crawlspace that is not readily accessible, or where entry could cause damage or pose a hazard to him/herself. identify the size, spacing, span or location or determine the adequacy of foundation bolting, bracing, joists, joist spans or support systems. the heating system, using normal operating controls. if the heating system was deemed inaccessible. inspect, measure, or evaluate the interior of flues or chimneys, fire chambers, heat exchangers, combustion air systems, fresh-air intakes, makeup air, humidifiers, dehumidifiers, electronic air filters, geothermal systems, or solar heating systems. inspect fuel tanks or underground or concealed fuel supply systems. light or ignite pilot flames. 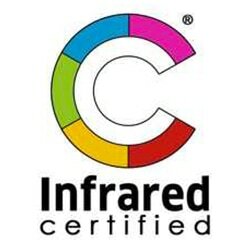 verify thermostat calibration, heat anticipation, or automatic setbacks, timers, programs or clocks. if the cooling system was deemed inaccessible. operate equipment or systems if the exterior temperature is below 65° Fahrenheit, or when other circumstances are not conducive to safe operation or may damage the equipment. inspect the interior of flues or chimneys, combustion air systems, water softener or filtering systems, well pumps or tanks, safety or shut-off valves, floor drains, lawn sprinkler systems, or fire sprinkler systems. inspect clothes washing machines or their connections. determine the effectiveness of anti-siphon, back-flow prevention or drain-stop devices. examine ancillary or auxiliary systems or components, such as, but not limited to, those related to solar water heating and hot water circulation. insert any tool, probe or device into the main panelboard, sub-panels, distribution panelboards, or electrical fixtures. remove panelboard cabinet covers or dead fronts. measure or determine the amperage or voltage of the main service equipment, if not visibly labeled. inspect private or emergency electrical supply sources, including, but not limited to: generators, windmills, photovoltaic solar collectors, or battery or electrical storage facility. determine the accuracy of labeling. inspect the interior of chimneys or flues, fire doors or screens, seals or gaskets, or mantels. determine the appropriateness of any installation. inspect combustion and/or make-up air devices. 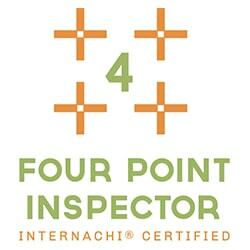 perform a National Fire Protection Association (NFPA)-style inspection. move, touch or disturb insulation. break or otherwise damage the surface finish or weather seal on or around access panels or covers. inspect security systems or components. evaluate the fastening of islands, countertops, cabinets, sink tops or fixtures. move furniture, stored items, or any coverings, such as carpets or rugs, in order to inspect the concealed floor structure. operate or evaluate self-cleaning oven cycles, tilt guards/latches, or signal lights. accessible:  In the opinion of the inspector, can be approached or entered safely, without difficulty, fear or danger. activate:  To turn on, supply power, or enable systems, equipment or devices to become active by normal operating controls. Examples include turning on the gas or water supply valves to the fixtures and appliances, and activating electrical breakers or fuses. adversely affect:  To constitute, or potentially constitute, a negative or destructive impact. alarm system:  Warning devices, installed or freestanding, including, but not limited to: carbon-monoxide detectors, flue gas and other spillage detectors, security equipment, ejector pumps, and smoke alarms. appliance:  A household device operated by the use of electricity or gas. Not included in this definition are components covered under central heating, central cooling or plumbing. architectural service:  Any practice involving the art and science of building design for construction of any structure or grouping of structures, and the use of space within and surrounding the structures or the design, design development, preparation of construction contract documents, and administration of the construction contract. component:  A permanently installed or attached fixture, element or part of a system. condition:  The visible and conspicuous state of being of an object. correction:  Something that is substituted or proposed for what is incorrect, deficient, unsafe, or a defect. cosmetic defect:  An irregularity or imperfection in something, which could be corrected, but is not required. crawlspace:  The area within the confines of the foundation and between the ground and the underside of the lowest floor’s structural component. decorative:  Ornamental; not required for the operation of essential systems or components of a home. describe:  To report in writing a system or component by its type or other observed characteristics in order to distinguish it from other components used for the same purpose. determine:  To arrive at an opinion or conclusion pursuant to examination. dismantle:  To open, take apart or remove any component, device or piece that would not typically be opened, taken apart or removed by an ordinary occupant. engineering service:  Any professional service or creative work requiring engineering education, training and experience, and the application of special knowledge of the mathematical, physical and engineering sciences to such professional service or creative work as consultation, investigation, evaluation, planning, design and supervision of construction for the purpose of assuring compliance with the specifications and design, in conjunction with structures, buildings, machines, equipment, works and/or processes. enter:  To go into an area to observe visible components. evaluate:  To assess the systems, structures and/or components of a property. evidence:  That which tends to prove or disprove something; something that makes plain or clear; grounds for belief; proof. examine:  To visually look (see inspect). foundation:  The base upon which the structure or wall rests, usually masonry, concrete or stone, and generally partially underground. function:  The action for which an item, component or system is specially fitted or used, or for which an item, component or system exists; to be in action or perform a task. functional:  Performing, or able to perform, a function. functional defect:  A lack of or an abnormality in something that is necessary for normal and proper functioning and operation, and, therefore, requires further evaluation and correction. 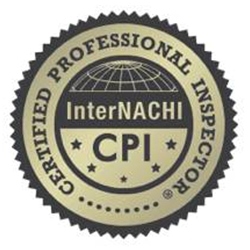 general home inspection:  The process by which an inspector visually examines the readily accessible systems and components of a home and operates those systems and components utilizing this Standards of Practice as a guideline. home inspection:  See general home inspection. household appliances:  Kitchen and laundry appliances, room air conditioners, and similar appliances. identify:  To notice and report. indication:  That which serves to point out, show, or make known the present existence of something under certain conditions. inspect:  To examine readily accessible systems and components safely, using normal operating controls, and accessing readily accessible areas, in accordance with this Standards of Practice. inspected property:  The readily accessible areas of the buildings, site, items, components and systems included in the inspection. inspection report:  A written communication (possibly including images) of any material defects observed during the inspection. inspector:  One who performs a real estate inspection. installed:  Attached or connected such that the installed item requires a tool for removal. material defect:  A specific issue with a system or component of a residential property that may have a significant, adverse impact on the value of the property, or that poses an unreasonable risk to people. The fact that a system or component is near, at, or beyond the end of its normal, useful life is not, in itself, a material defect. normal operating controls:  Describes the method by which certain devices (such as thermostats) can be operated by ordinary occupants, as they require no specialized skill or knowledge. operate:  To cause systems to function or turn on with normal operating controls. readily accessible:  A system or component that, in the judgment of the inspector, is capable of being safely observed without the removal of obstacles, detachment or disengagement of connecting or securing devices, or other unsafe or difficult procedures to gain access. recreational facilities:  Spas, saunas, steam baths, swimming pools, tennis courts, playground equipment, and other exercise, entertainment and athletic facilities. representative number:  A number sufficient to serve as a typical or characteristic example of the item(s) inspected. residential property:  Four or fewer residential units. residential unit:  A home; a single unit providing complete and independent living facilities for one or more persons, including permanent provisions for living, sleeping, eating, cooking and sanitation. safety glazing:  Tempered glass, laminated glass, or rigid plastic. shut down:  Turned off, unplugged, inactive, not in service, not operational, etc. structural component:  A component that supports non-variable forces or weights (dead loads) and variable forces or weights (live loads). system:  An assembly of various components which function as a whole. technically exhaustive:  A comprehensive and detailed examination beyond the scope of a real estate home inspection that would involve or include, but would not be limited to:  dismantling, specialized knowledge or training, special equipment, measurements, calculations, testing, research, analysis, or other means. unsafe:  In the inspector’s opinion, a condition of an area, system, component or procedure that is judged to be a significant risk of injury during normal, day-to-day use. The risk may be due to damage, deterioration, improper installation, or a change in accepted residential construction standards. verify:  To confirm or substantiate.